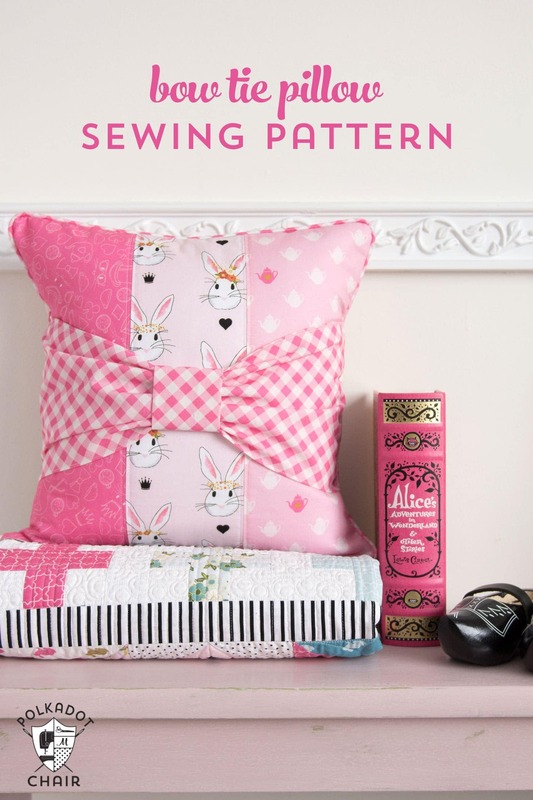 Last week I shared this Bow Tie Pillow Sewing Pattern on the Riley Blake Designs website; today I’m posting it here for you, just in case you missed it on their site. 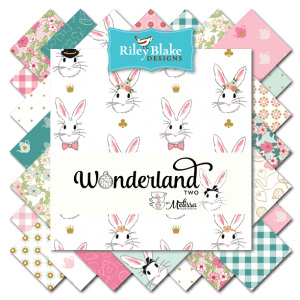 Today I’m going to share with you one of the first projects that I’ve had the chance to make with my next fabric collection called Wonderland Two (original I know, I thought about calling it Wonderland revisited, but decided in the end just to keep it simple). In February of 2015, my first Wonderland line was released. I was very excited that soon after it came out, that Riley Blake asked me to do a follow-up to the line. It gave me the chance to add a bit more Alice in Wonderland inspiration this time around. My inspiration for the line is the tea party scene in Alice in Wonderland. I love all of the teacups stacked up and spilling over, along with the frantic white rabbit who makes a quick appearance. 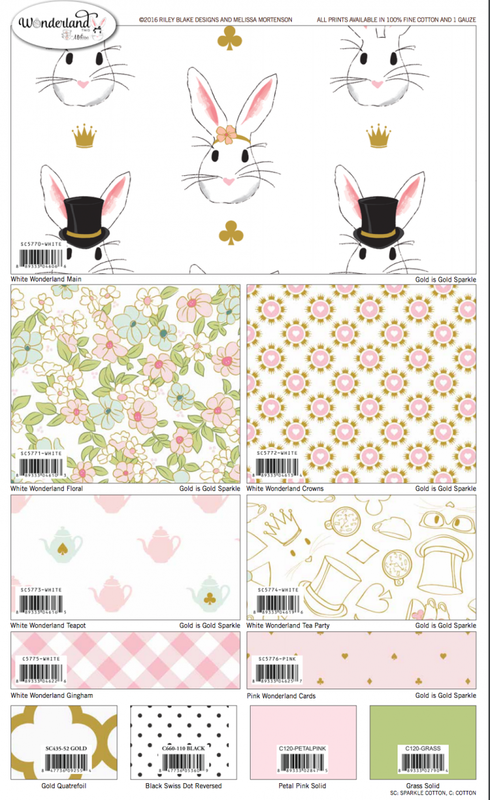 The line features the same White Rabbit, but this time dressed up in even more outfits, if you love to fussy cut fabric, this print will give you a lot of options! I also included a teapot print, a cards print, a few crowns, hearts (of course) and a doodle print that is topsy turvy, just like the tea party. If you look closely you may notice that the flowers in the floral print feature faces, just like the movie. 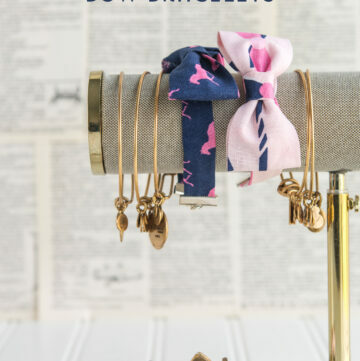 You can see all of the prints in the line on the Riley Blake Website by clicking HERE. I have been able to get my hands on a tiny bit of fabric and have started playing around with it. Since the pink is the same as my Wonderland line, I’ve been mixing and matching the lines together. 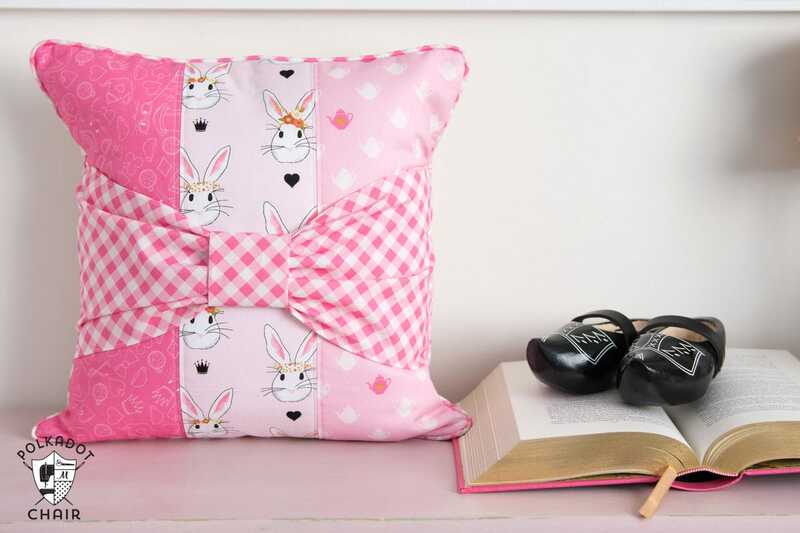 The bunny print from the pillow is from the first Wonderland line but all of the other prints are from the new Wonderland Two line. 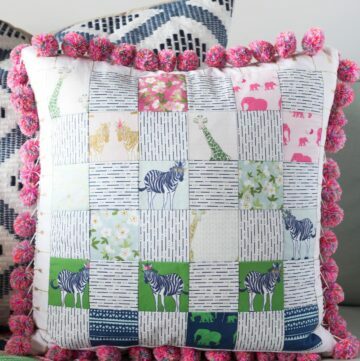 This pillow is actually a pattern that I wrote a few years ago. I thought it would be fun to stitch one up with the pink fabrics from the new lines. 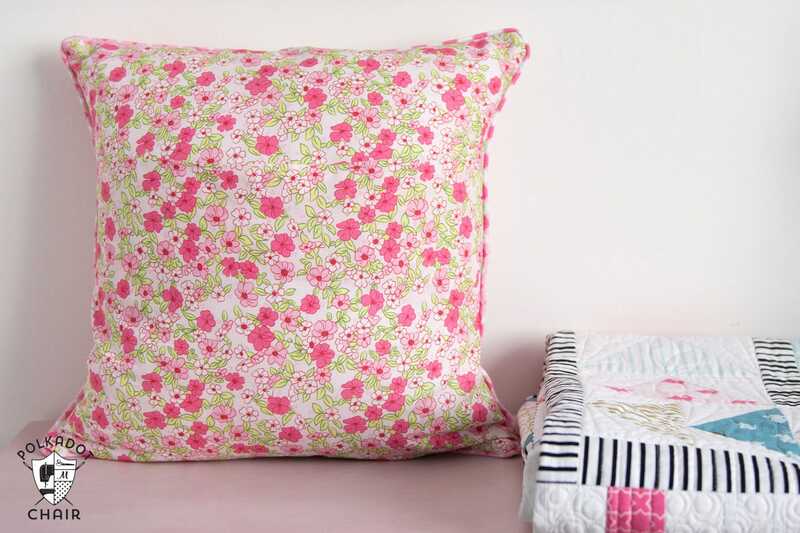 To get the FREE SEWING PATTERN for the pillow just CLICK HERE to find it in my blog archives. Keep an eye out for Wonderland Two in stores this January. 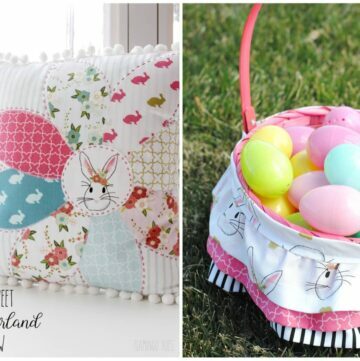 Your Wonderland line of fabrics is so cute!!! The colors & designs are the best! I hope to order some to make some of my grandkids a quilt. I was downloading the blocks for the quilt that you have your sweet bow tie pillow sitting on & I only saw 9 patterns. Are the other 3 somewhere else? 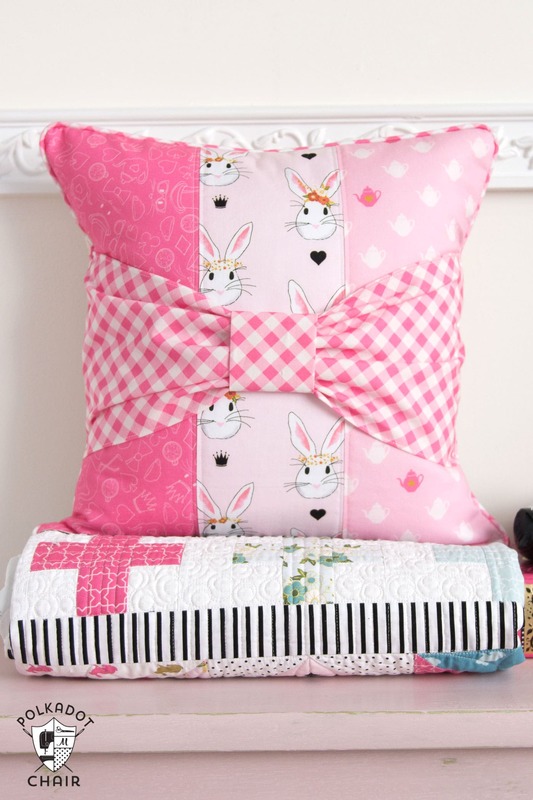 Each block is adorable-especially with your fabrics. Thanks. No, all 12 are there. 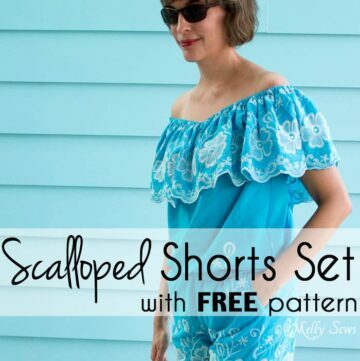 Did you click on the link that said, “click here for all of the posts in this series?” – There are two pages, you may have to click the number 2 at the bottom of the page. I made a quilt for my daughter’s sixteenth birthday from the first wonderland fabrics. They are hard to come by in England, and only one online store sell half of the range, i do hope this improves, as i love the designs. The new one with the teapots are lovely. Oh thank you! I love to hear that it’s available “across the pond” 🙂 – I’ll let you know if I hear of any more stockists over seas!